On March 10th, 2016, Sea Grant Program educators Héctor Martínez and Brenda Soler visited the Sergio Ramírez de Arellano Bilingual School in Añasco. 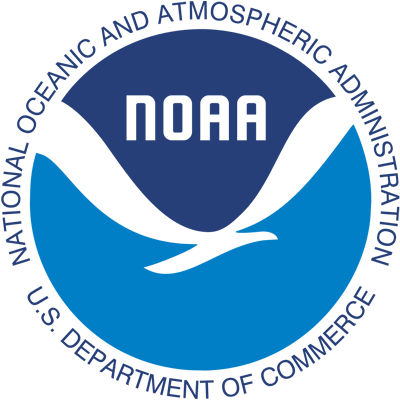 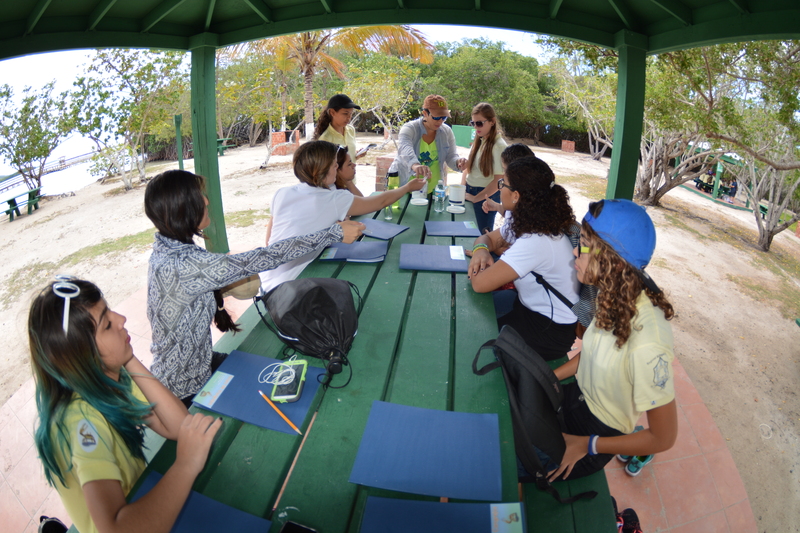 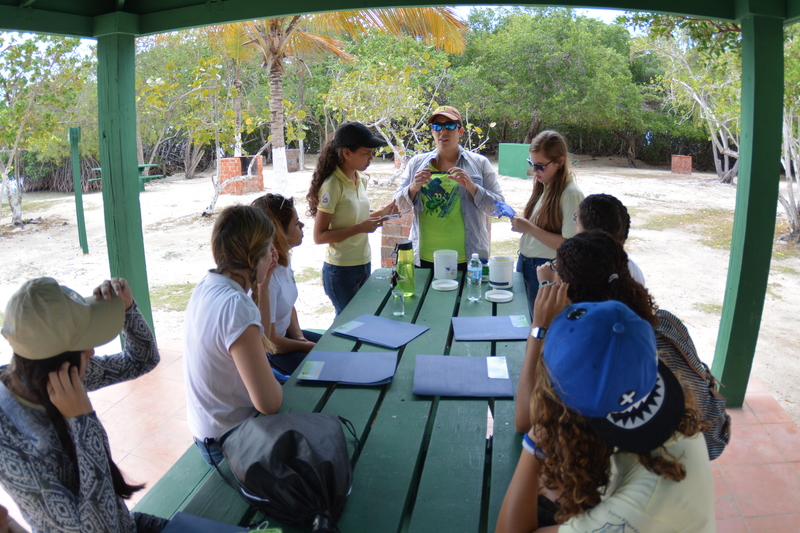 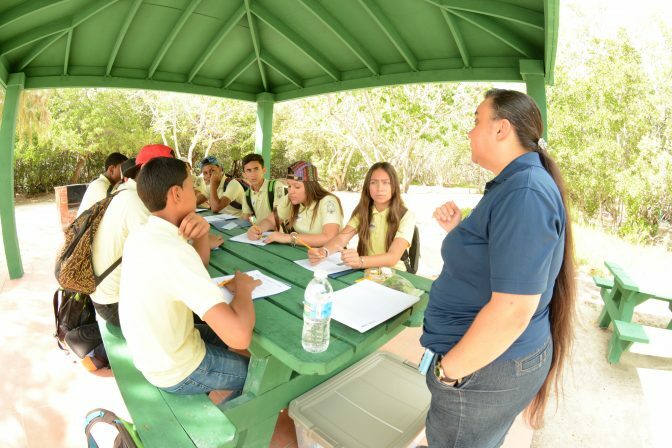 There, they offered a workshop about marine ecosystems, played the game regarding the importance of seagrasses and presented the sand composition workshop. The educators were amazed at how well-behaved and interested these students were. 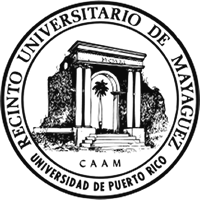 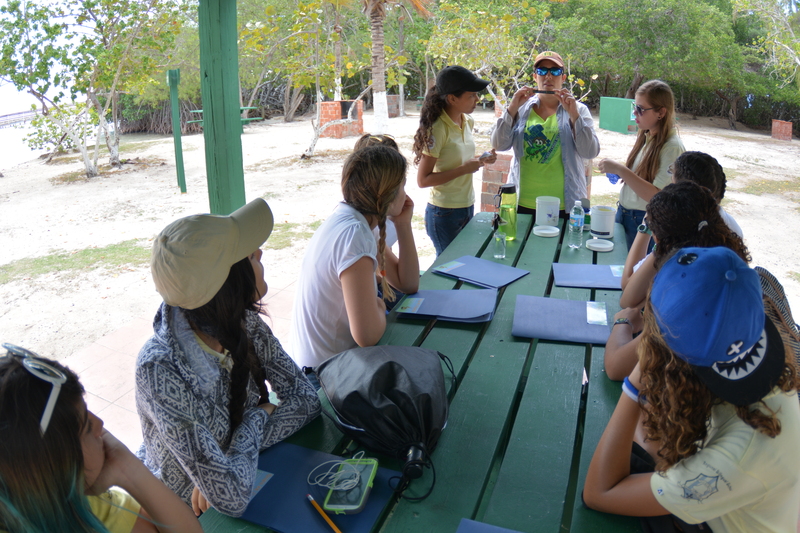 Their teacher, Prof. Carmen Pérez was very proud of her students, who all showed great interest in the topics presented. 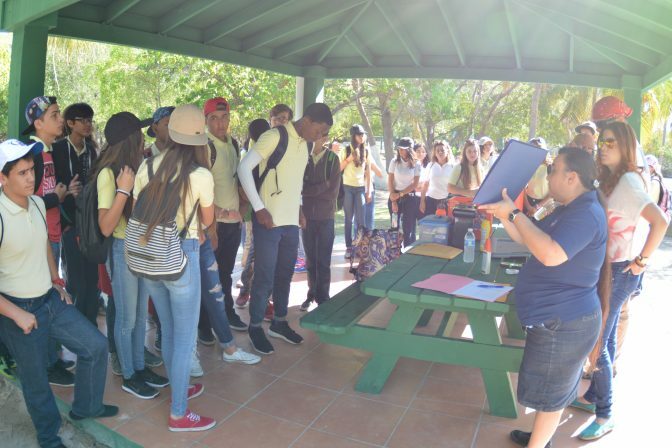 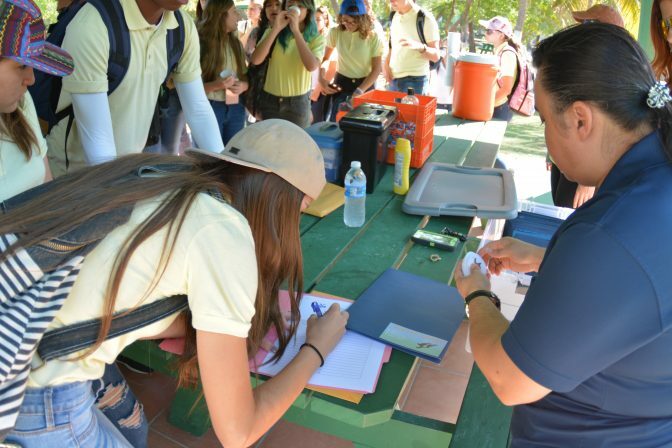 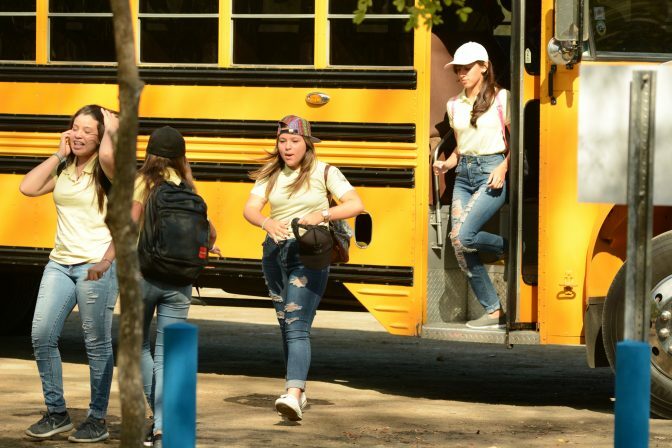 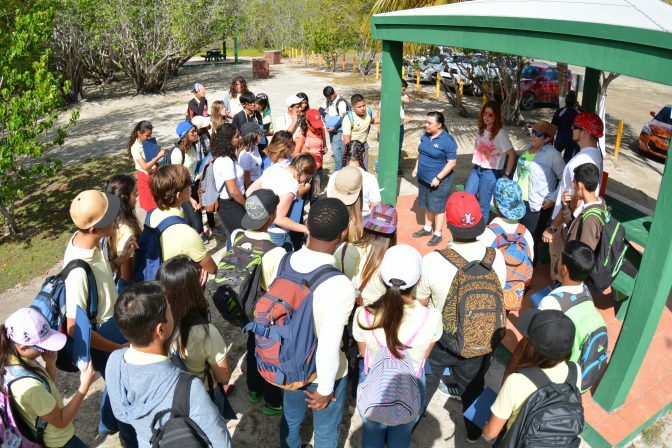 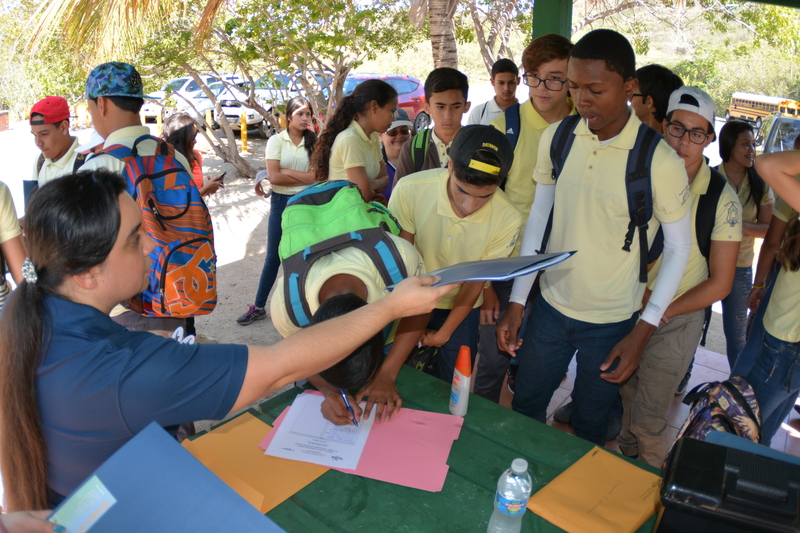 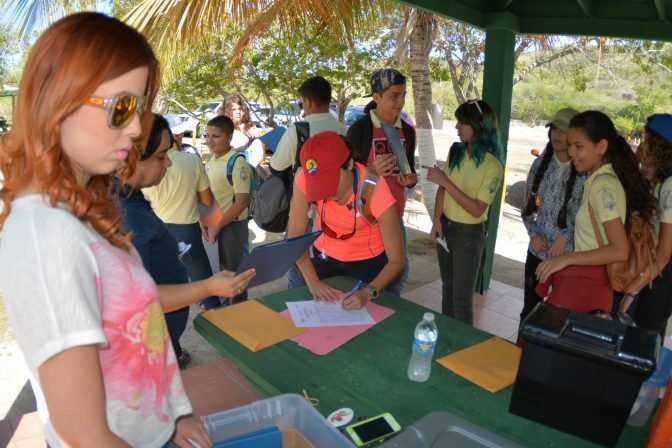 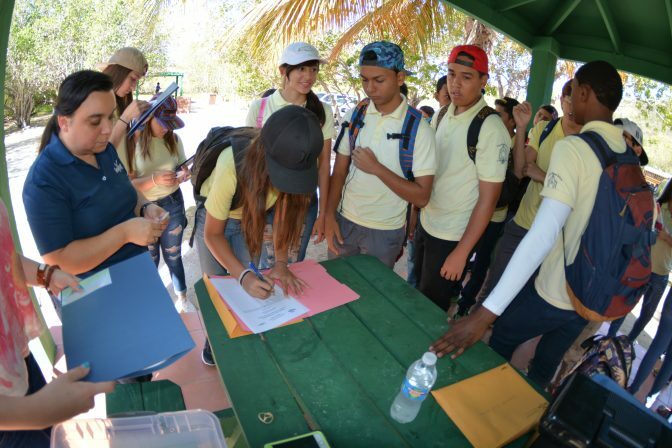 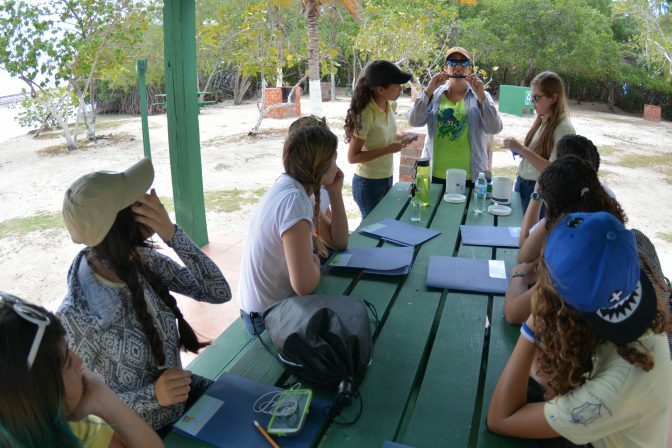 The following day, on March 11th, 2016, these same students went on a fieldtrip to Playita Rosada, in La Parguera. 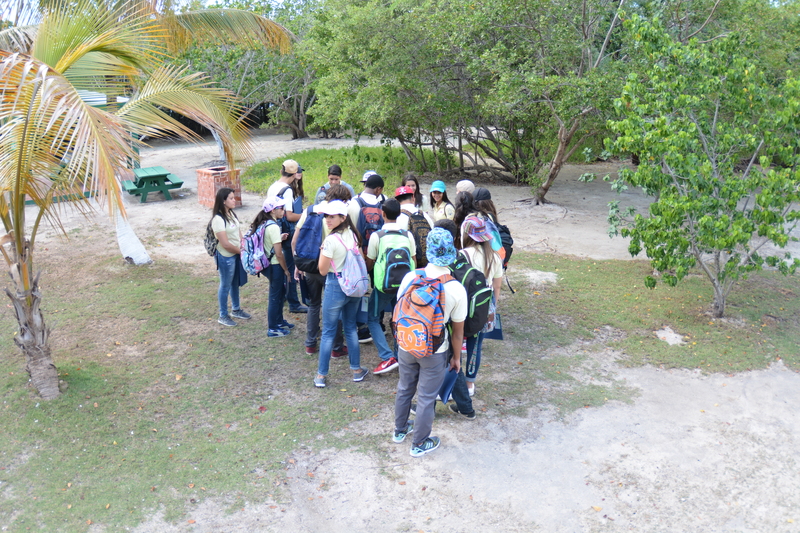 There, they took in several activities related to mangrove forests, seagrasses, meteorology, water quality and invertebrates. 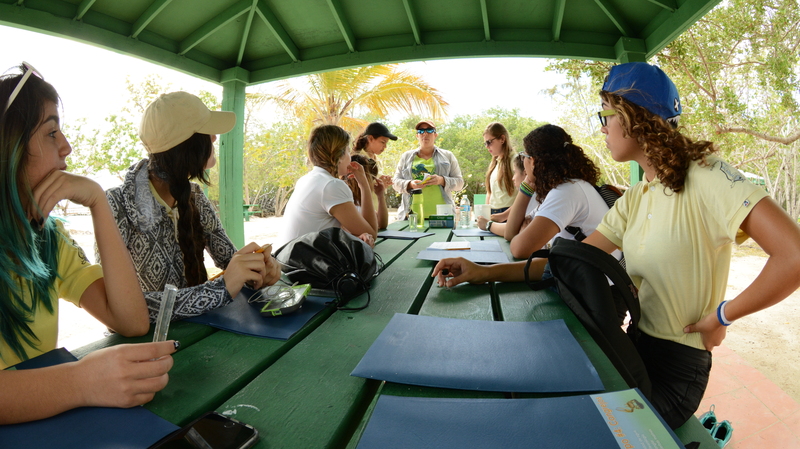 They expressed to the educators that the activities they most enjoyed were the ones related to mangroves, seagrasses and invertebrates. 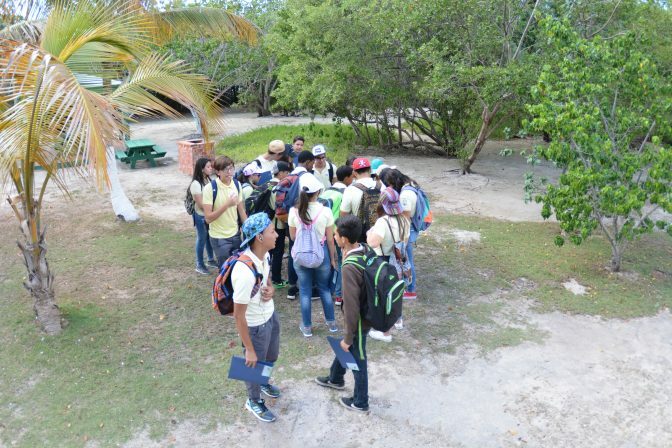 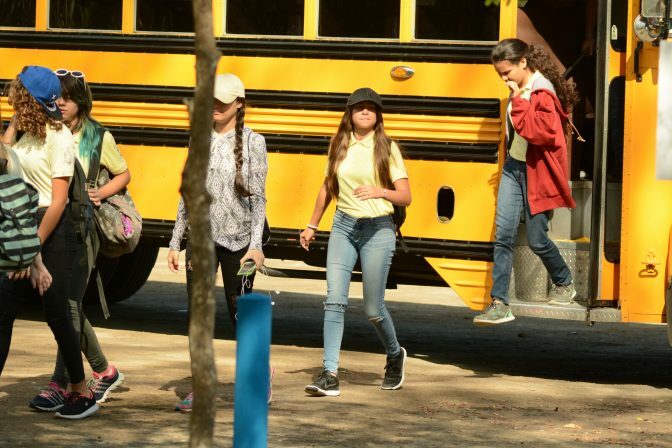 They all enjoyed the group dynamic, the activities, and the beautiful location in which they could observe, firsthand, the ecosystems they had previously seen in photographs.